Elegant hotel in London. The Park Lane Mews is a hotel which combines the up-to-date services with a pleasant traditional style. 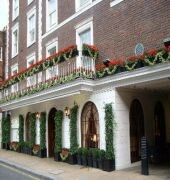 This hotel of superior category is located in the famous Mayfair London district. The Park Lane Mews has large and luxurious rooms. The establishment offers snack-bar, car park to be paid or a magnificent restaurant. Well connected by public transport, the Park Lane Mews Hotel is situated in a district with the best restaurant, pubs and shops from the city. A perfect hotel in order to enjoy the London monuments and touristic destinations. The PARK LANE MEWS is a Tourist hotel. Located in City Centre - Park Lane area. Shopping is accessible by bus/taxi and the nightlife/restaurants are easily accessible by taxi or bus from the hotel. Descriptionclass="small" style="text-align: justify; font-size:11px;">Elegant hotel in London. The Park Lane Mews is a hotel which combines the up-to-date services with a pleasant traditional style. 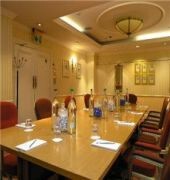 This hotel of superior category is located in the famous Mayfair London district. The Park Lane Mews has large and luxurious rooms. The establishment offers snack-bar, car park to be paid or a magnificent restaurant. 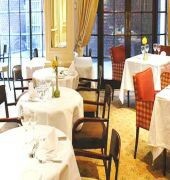 Well connected by public transport, the Park Lane Mews Hotel is situated in a district with the best restaurant, pubs and shops from the city. 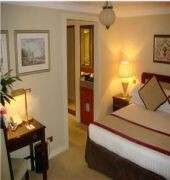 A perfect hotel in order to enjoy the London monuments and touristic destinations. Had a great welcome by nasir' who was good at his job by providing excellent service. He changed our room and provided us the service we needed. Would definitely come again and recommend this amazing hotel. As a frequent visitor to Mayfair where i meet my friends in a local gambling establishment and also attend the nearby Curzon Mayfair cinema, i decided to stay here one night as travelling home when the city is full of protesters blocking your route is becoming extremely annoying. 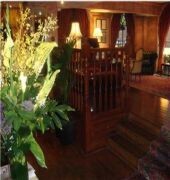 The hotel is pleasantly presented and the reception staff very helpful. No problems checking in. I was on the 2nd floor. One comment i must make is that the hotel is very old, but it is well kept and although the room is pleasant and the bed very comfortable, i have 2 points to make. The window would not close and as my room backed onto the road, it was very noisy overnight and as i am a light sleeper, i kept being woken up. Secondly, The TV reminds me of one i had 30 years ago. There is hardly any signal and not many channels to choose from if you do get one. For a hotel in such a prime area, this is not acceptable. However as i was only staying one night, i could cope without it. Breakfast was nice though, food fresh and staff regularly checking it. In summary, I would love to stay here more often as its so convenient for me but i would only stay here for one night at a time unless these 2 issues would be resolved. Got an early check in! Wonderful service! Thank you Nasir!!! Very helpful and kind! Nice reception Well located great access nice lobby excellent restaurants and I will come back again soon! Thank you !! Thank you for such a great review. We are so glad that Nasir gave such wonderful service and that your stay with us was great. We hope to see you again soon. I needed to travel until London for business, all i was looking for was a great location with a cheap rate and the Park Lane Mews made my wish came true. Hotel located in a very central position, and the price was very convenient. on top of it i felt almost at home tanks to Simone at reception that was very welcoming, exactly like the last time. Thanks a lot. Thank you for leaving us a review and choosing to stay with us. We are so glad that you had such an enjoyable stay and that Simone was so welcoming. We hope that business went well and we very much hope to see you again soon. I was guest of this hotel for 2 nights, evrithing was fine until the moment i've been told that no internet connection was avaliable at 4th floor so i request my room to be changed and a lovely receptionist Simone solved the problem instantly. What i liked the most was the breakfast indeed, restaurant's staff very professional. Firstly, we would just like to apologise for the Wifi issues that you encountered during your stay, sometimes we do have issues with our internet but we are incredibly glad to hear that Simone was able to fix the issue as quickly as possible. We are also very glad to hear that you enjoyed our breakfast buffet and that our restaurant staff were so professional.